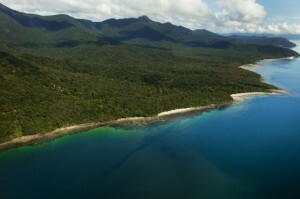 Tourism in the Daintree Rainforest is continuing to decline, partly because of the relative value of the Australian dollar. Recent upturns in the global economy have been met with a proportionate recovery in other parts of Australia, but the far north seems to have suffered the double whammy of natural disasters which have been overly-publicised to the extent that many travellers to Australia are still shying away from Queensland. The challenge for the people of the Daintree Rainforest is to get the word out that we are enjoying unobstructed accessibility, are open for business and waiting to showcase the rich diversity of experiences that make a great nature-based holiday in the oldest rainforest in the world. With the completion of the long-awaited elevation of the Cooper Creek causeway, Daintree Rainforest and Cooper Creek Wilderness wish to sincerely thank Cairns Regional Council and staff and the various consultants and construction experts who all contributed to the successful completion of this critically important piece of transportation infrastructure … in the most extraordinarily difficult circumstances that nature could conceivably unleash… read more here. Seeing the Daintree Rainforest from a helicopter, covering the enormity of the surrounding landscape, puts us into our rightful insignificance. Having long awaited the opportunity to photograph the Daintree Rainforest from above, we were fortunate to have favourable conditions over all aspects of the landscape, other than the apex of Thornton Peak itself. This was counter-balanced by the perspective that background cloud gives to panoramic photography and the greater volume of water still running over waterfalls… read more here. The truth about undisturbed rainforest is that you can sense its antiquity and agelessness from the moment you enter, as is evidenced with our newly created walking trail from the exotic tropical fruit orchard. Trees with roots stretching close to a hundred metres, stand like massive sentinels, protecting and holding together all of the surrounding trees. A complex, interconnected vine network ties together the crowns of the rainforest giants, with stranglers tying the rainforest canopy top to the root network at the forest floor… read more here. The Art of Concealment reveals Poltys laciniosus spending the daylight hours convincing the world that it is a twig. Its mimicry is brilliant! At night, it spreads its legs and swiftly builds a magnificent two-dimensional wheel-web to capture flying insectsfor its sustenance. Before dawn, it collects and ingests all its valuable silk and returns to its preferred placement on a branch where upon it resumes its twig pose for the following day… read more here. To book your visit to Coopers Creek Wilderness. Philosophically interesting stuff compared to the normal root it, shoot it, chop it, dam it, bent of this hallowed blog. Joh’s government ramming that road through to Cape Trib – and the subsequent enjoyment of massive erosion ruts for all. That Cedar Bay drug raid by Joh and the boys … stopping those pinko insurgents in their tracks. The quintessential Quaid real estate development of Cow Bay and other wall to wall clearing outbreaks. I think we know what the cry would have been. The sky would have fallen in – the end of days. Perhaps with tourism on the skids it might now be. But would anyone like to reverse the world heritage listing and still be logging ? It seems you just took an opportunity to criticise and sneer at as many people as possible. Which particular soap box were you standing on? Luke’s view of recent political history is correct, it was the wave of hippies then greens who made a big impression on red neck country. The road to Cape Trib produced massive erosion because Joh didn’t care. We told him not to do it, but he wasn’t listening. Pretty harsh comment Debs. Do you not find it ironic what has happened and that the blog supports a World Heritage Nature Reserve over a timber industry? BTW I think the forest is excellent. Luke & el gordo, take comfort from the fact that the Cape Trib Road has been fully sealed since 2000. The ‘massive erosion’ is now restored to the natural environment, where it is offically acceptable for its naturalness. Hippies did made their mark in the early seventies as prime suspects in the premature deaths of cattle, which in turn led to the discovery of a previously unknown flowering plant of primitive lineage. So unusual in its biology, it required a new family of its own. The discovery of the dinosaur tree, Idiospermum australiense, brought scientists across the newly installed ferry for the first time in search of this astonishing discovery, but what they found was entirely unexpected; a fragment of an ancient rainforest, hidden in almost perfect seclusion on the eastern flank of Thornton Peak. Such was the global significance of the discovery that the scientific community sought the highest order of conservation protection available within Australia. And yet, the greatest obstacle to this scientific imperative, was the existence of people and communities that were legally defined constituents of the natural environment, with recognised rights to freely dispose of their natural wealth and resources without prejudice – entitlements forged into the cultural traditions and identities of a century or more of legitimacy. Severing these people and communities from their entitlements, for the sake of World Heritage listing, was never going to be an easy undertaking. Indeed, it took over seventeen years to come into effect and despite the delicate diplomacy of Senator Graham Richardson, the timber communities of the wet tropics that were PROMISED prosperity from tourism to a far greater extent than anything logging had ever provided, would almost certainly like to reverse the World Heritage listing and return to logging, because it put food on their tables and roofs over their heads, whereas tourism hasn’t. So Neil I guess the Bloomfield River near Wujal Wujal is now bridged? And is the back way inland to Cooktown now bitumen as well. Progress? Surely you would have done better having your business centred on World Heritage listing than having a forest criss-crossed with forestry snig tracks? And you yourself have romanced the old growth? The steel-reinforced concrete causeway across the Bloomfield was sheered clean-through by the ferocity of flooding brought by Cyclone Yasi. Since the 3rd of February, vehicular passage has been non-existent. People living south of the Bloomfield River and working north have been greatly inconvenienced. Travellers heading up and down the Cape have been excluded from the Bloomfield Track, and by implication, the Daintree Rainforest community. I’m not sure where you live Luke, but I would imagine that even you would be hard-pressed to constrain your patience, if an extreme natural weather event caused damage to public transportation infrastructure to the extent that it obstructed you from getting to work and to the conveniences of goods and services for 3 months. The inland road to Cooktown is now fully sealed and has been since March 2006. The economic benefits to the people and communities of Cooktown and surrounds are enormous. The Bloomfield track remains predominantly sealed, but the really steep sections have been paved and the economically important Cape York 4WD adventurers, prior to the severing of the Bloomfield causeway, were increasingly enjoying the iconic coast route on their epic ascent or return or even both ways. Luke, you decry the provision of the most fundamental infrastructure to areas of isolated north Queensland as if it indicates the end times you originally alluded to. In the face of increasingly restrictive land-use entitlements throughout the far north, conservation requirements are being perversely denied the requirements of supportive conservation economies. There is no doubt the full force of Queensland’s legislative authority is driven by the population dominance in the south-east corner, but if it requires conservation in places such as the Daintree Rainforest, then it must also be provided with the requisite conservation economies. Do I begrudge your fundamental infrastructure? Nope. And do I compel you to live in a remote tropical environment. Surely you don’t need the Bloomfield track to access most of Cape York? There are other routes. However I do hope you get your crossing back soon. I’m not being mean about it. But lets not forget the Bloomfield track was rammed through because Joh wanted it – who did it service back in the day – adventurers? Now everyone is used to it – well it’s now “essential”. However, driving roads straight up hills (north of Cape Trib) in a wet tropical environment was appalling road engineering at the time. The Daintree section is quite different and follows the contours. Speaking of infrastructure have they allowed power north of the Daintree River or will you have to wait till Warren Entsch is in government ? “End of times” was an allusion to the reaction to the Wet Tropics getting World Heritage status and stopping logging. Would you like the rainforest still logged? But agree Neil – you need better land-use entitlements – current situation is not rational. Neil, as someone who spends most of his time in and around wilderness, I know the importance of high quality access. What damages and delays vehicles will also damage the surrounding land. A well gravelled track with big drains and cutouts makes an initial disturbance, but it’s the quaint little dirt track that does long-term damage. Having just come back from walking 900ks across Spain and down to Portugal, I’d say the same thing applies to walking tracks as applies to vehicles. Good access will always solve more problems than it creates. People are far more likely to respect dunes and bushland if roads and parking areas are well placed and well made. I also think it’s good to have a few people living in and around important conservation areas. The purist dogma is a recipe for trouble. I wish I could say that the reportage in Europe of our natural disasters was balanced and sensible, but the combination of deadline sensationalism and climate catastrophism makes it very hard to explain to Europeans that there are always huge areas of Australia worth visiting at any time. I could name a hundred great wilderness venues just on Sydney’s fringe. Anyway, I did my best to get a good – and accurate! – message across. I’ll certainly try to mention your news about the Daintree to some European contacts. Hey Luke, allow me to introduce you to the community of Degarra, the northern-most settlement within the (post-amalgamation) Cairns Region. Access to Degarra is via the Bloomfield Road (from the south) or Wujual Wujal (from the north). Population is 41. Like the people of Wujal Wujal, Ayton, Bloomfield and Rossville, Degarra residents would favour access to the regional city of Cairns via the Bloomfield Road. You see, it is a four hour drive compared with 5 to six hours driving around the inland route. So whilst you and even I may be able to access the majority of places within the Cape without using the Bloomfield Road, there are others who rely on its existence to get to their homes. It was a bit harsh. At first glance it looked like a negative rant for no particular purpose. I wish you the best of Luck Neil. I have never had the opportunity to visit the Daintree but will definitely take it if the opportunity arises.